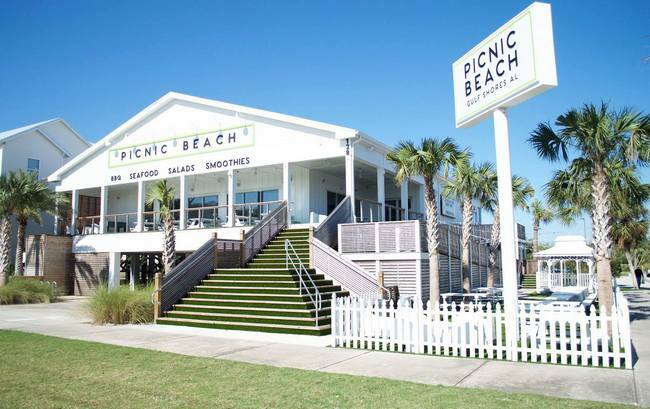 Picnic Beach offers barbecue along with smoothies, organic cocktails, acai bowls, clean eats, vegan, vegetarian, and gluten free options. They use only prime meats and focus on organic, sustainable ingredients that are healthy, nourishing and flavorful. Relax on the turf and gather around a picnic table at this family restaurant, or order online and have your food delivered! You don't want to miss this beautiful Gulf View in the heart of Gulf Shores, Alabama.